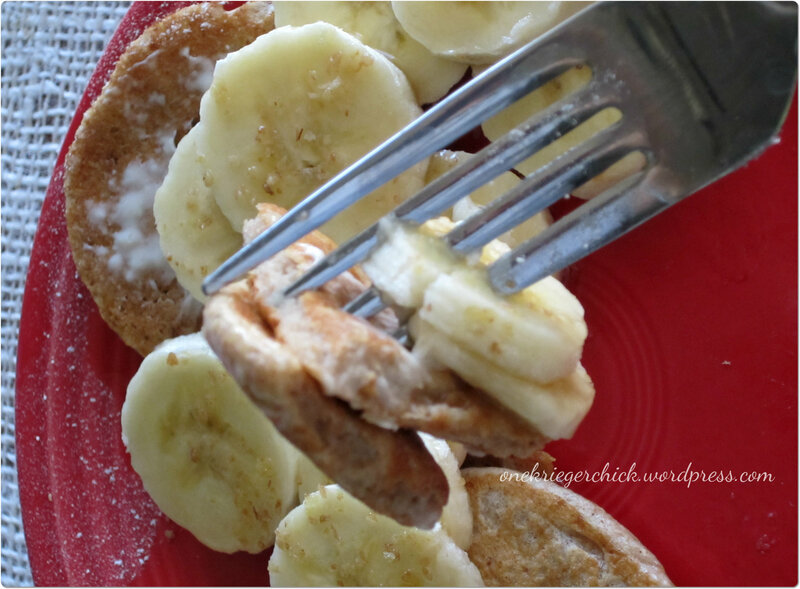 These pancakes are yummy and my kids gobble them up! They have been known to eat 5 or 6 at breakfast and then eat a few more throughout the day as snacks. I don’t mind because I know what is in them..wink, wink! Due to their small size, we call them silver dollar pancakes or pancake cookies. I mix up multiple batches and keep them in separate ziploc bags or a sealed container in my pantry. You can add bananas, pumpkin, blueberries, chocolate chips…whatever you like! Combine all dry ingredients, make a well in center of mixture and set aside. Combine all wet ingredients in a separate bowl. Add wet mixture all at once to dry mixture. Stir just until moistened (batter will be lumpy). Lightly grease your skillet or griddle (I use cooking spray) and heat to medium low heat. Pour amount of batter for the size of pancake you desire. We like small pancakes, so I use a Tablespoon for each pancake. My husband prefers larger pancakes, so I use a 1/4 cup measuring cup for him. Cook each pancake until they start to form little bubbles, then flip and cook a couple minutes more until golden brown. Serve warm with toppings of your choice. 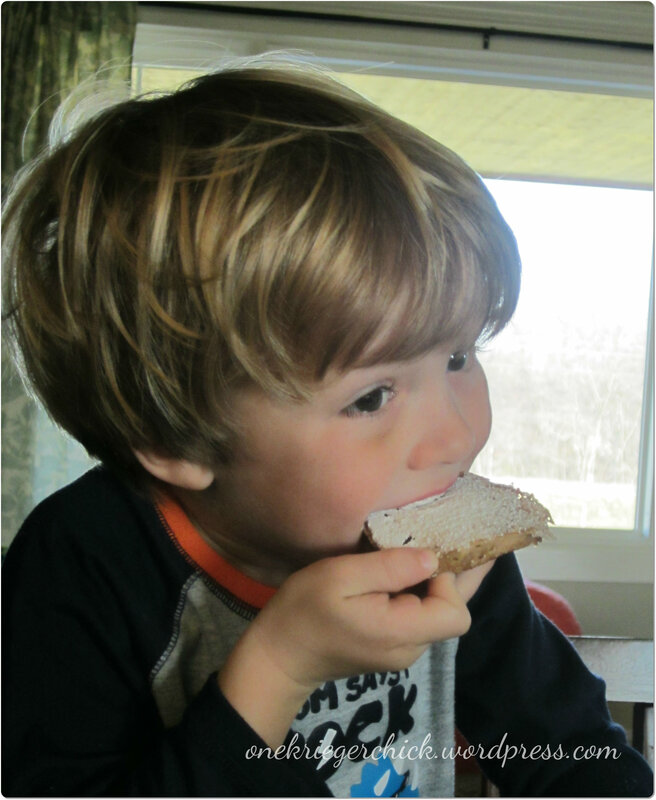 My boys like butter and a sprinkle of powdered sugar and sometimes a little sugar-free syrup to dip. I prefer butter and sliced fruit with a sprinkle of powdered sugar and wheat germ. Either way, they are yummy and you should make them for breakfast (or dinner) SOON! 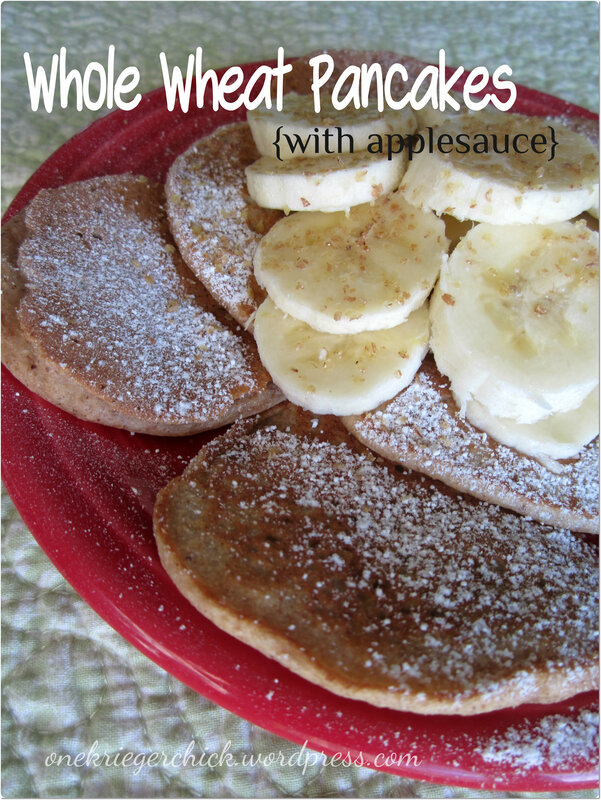 Posted in Uncategorized and tagged applesauce, breakfast, pancakes. Bookmark the permalink.